Arrive Srinagar Airport and then leave for Pahalgam. Take some rest at the pre booked hotel and then take a trip to Aru (Own Cost). In evening, you can explore some nearby places. After having breakfast, leave for Helipad to take a Helicopter ride to Panchtarni. 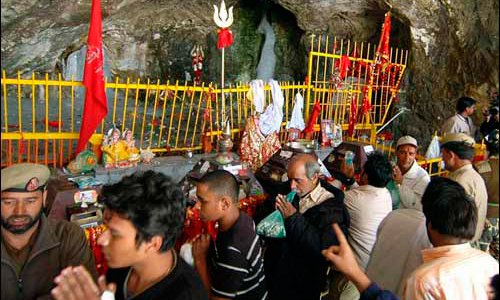 Then you have trek from Panchtarni to Holy Amarnath Cave(6Kms). After offering prayers, return to Panchtarni to take a Helicopter to Pahalgam. After Breakfast, you can go for sightseeing of Srinagar. Here you can take rest at Houseboat upon arrival and then you can visit Mughal Garden, Nishat Bagh & Shalimar Bagh and Cheshma Shahi. In the evening, you can enjoy Shikara ride on Dal Lake. Now you can leave the hotel room to board a flight for your return journey.